Vox offers fully customisable virtual hosting. Our solution offers high-availability virtual machines (VMs) that are stable, secure, and robust – with redundancy and disaster recovery built in. Our VMs are instantly configurable and allow for granular customisation. Gain immediate access to scalable memory, processing, and storage. Your environment works for your changing business needs, so whether your business is built on a private cloud, or you are a cloud provider, we have an ideal set-up for you. Realise your cloud strategy with our environment that enables infrastructure-as-a-service (IaaS), platform-as-a-service (PaaS), and software-as-a-service (SaaS). We offer a user-friendly self-management interface for those who want to take the reins, and a fully-managed service offering for those who don’t. Our infrastructure platform offers full data redundancy and disaster recovery, including the access, compute, storage, switching, and network layers. A second, full layer of duplication, in a vendor-neutral site 20km from existing data centres. Plus, network features full active design, with fail-over between each other. We offer redundancy-specific service level agreements (SLAs), and round-the-clock support, all year round. The Vox Cloud comprises of a very large cluster of servers working together, each contributing processing power, memory (RAM), Disk I/O and storage space. Your virtual server utilises resources from any number of these servers at any point in time. This means you are not reliant on any one single server like a traditional dedicated machine would. Hardware failure is no longer a cause of downtime, and because you can pull resources from any number of servers at once, you can scale up and down very easily and without downtime! I already have a virtual server with another provider. Why are your virtual servers more expensive? When comparing solutions, it is important to compare apples with apples. 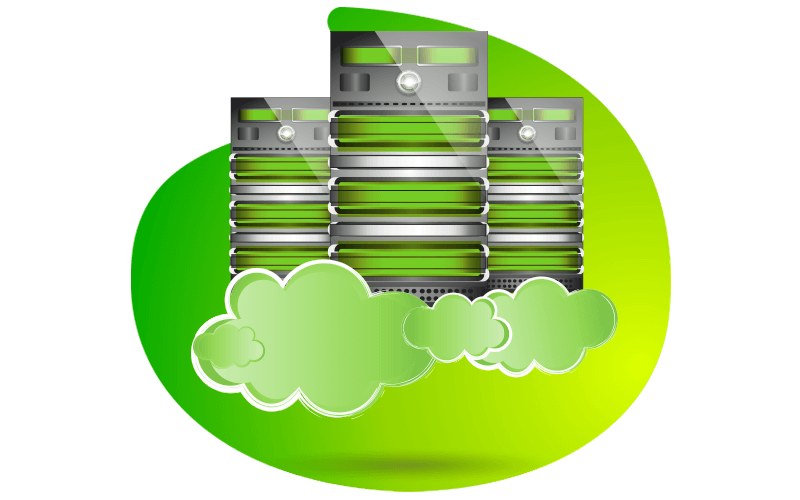 Firstly, our virtual servers are not ‘just any other VPS’. Ensure that your virtual server is hosted on infrastructure that has built in redundancy and not simply a slice of a traditional dedicated server. The Vox Cloud environment does not exist on just a single piece of hardware, instead they make use of enterprise-class, large scalable hosts (Compute) and SAN’s (data storage). This offers not only redundancy within one data centre but is delivered over two geographical different environments. Is my virtual server dedicated to me? Yes. Different providers use different virtualisation technology and they all have different ways of creating virtual servers. We utilise VMware technology which gives you a true enterprise grade virtual dedicated server environment, with dedicated guaranteed resources all of your own. We give you full root access to your server and it can be fully customised and optimised to your needs. How quickly can I upgrade my server? Your server can be upgraded in just a couple of minutes. This allows you to start with a virtual server with just the right resources needed with the ability to scale as and when you need, all without the extended downtimes of traditional server upgrades/downgrades. Do you provide managed service options on my virtual servers? Yes. We are able to provide managed services to you within the Vox Cloud environment. Managed services are a customised solution to meet your requirements. Please get in touch with us to discuss these options. Vox utilises best-of-breed cloud architecture powered by VMWare which supports all popular server operating systems from Microsoft, Redhat, open-source Linux variants, and more. How do I manage my virtual server? The self-service portal allows management and full control over your virtual servers through an easy-to-learn and user-friendly interface.